I love Insalata Caprese and am glad that I now have a way to fit it into my Halloween dinner. 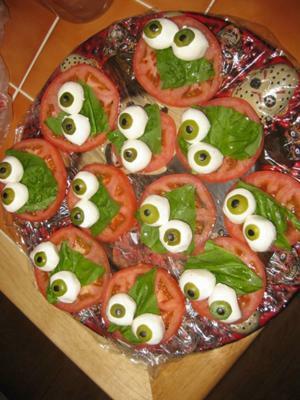 Just add olives and your traditional caprese salad is now eyeball caprese salad. The perfect appetizer for your Halloween dinner party. You can see how to make Halloween caprese salad over at Divine Dinner Party. IN <3 this is such a yumm delightful idea!